BACKGROUND: Maersk Line is the world’s largest container shipping company, known for reliable, flexible and eco-efficient services. We operate 610 container vessels and provide ocean transportation in all parts of the world. But not only do we power some of the world’s largest ships – we also propel the growth ambitions of businesses and individuals all over our planet. Every day our 7,000 seafarers and 25,000 land-based employees at 374 offices share their expertise with our customers around the world to optimize their supply chains, maximize their distribution networks and most of all realize their business potential. We are devoted to creating simple and reliable solutions for our partners, continuously lifting industry standards and enabling global trade in the most sustainable manner possible. What we do is more than shipping. We deliver promises. Promises from customers and businesses all over the world. Your promise. Delivered. 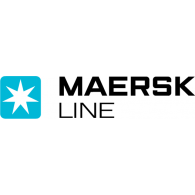 Maersk Tanzania is looking for a dynamic Longstanding Coordinator to join our team. The role of the LS Coordinator is to act as owner of the Global Longstanding Containers SOP for the cluster. Coordination with country teams, GSC, LOC and actual follow up are within the scope. The role covers full ownership of the process excluding Empty longstanding containers (EQU ownership). We offer a position in a challenging and ever-changing environment in which you will sharpen your industry knowledge as well as your communication skills and techniques relevant to Customer Service and Operations. Communicates constantly with various stakeholders with regards to Full Longstanding follow-up including but not limited to GSC, LOC, customers, freight forwarders, trucking companies, Depots, ICD’s, Terminal, other colleagues, etc. Initiate service recovery measures to limit longstanding containers e.g. Continuous growth and improvement mindset with global orientation.